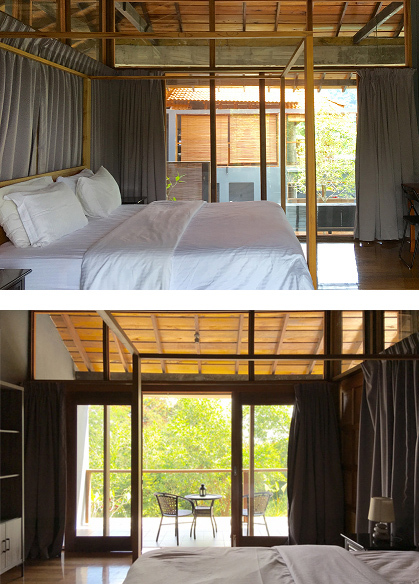 DAHLIA Studio Villa (Upper Floor) consists of One Naturally Ventilated Bedroom with a King-sized Canopy Bed. It has a Private Balcony facing the Forest. DAHLIA Garden Villa (Ground Floor) has One Air-Conditioned Bedroom with a King-Sized Canopy Bed. 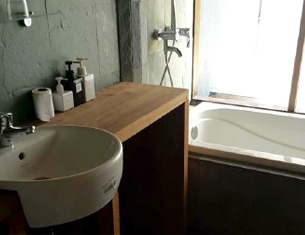 Both Dahlia STUDIO and GARDEN villas have their own En-Suite Bathroom with Vanity, WC, Hot Shower and Long Bath. DAHLIA Duplex Villa can be booked together with the Interconnecting RAFFLESIA DUPLEX POOL SUITE as one unit.